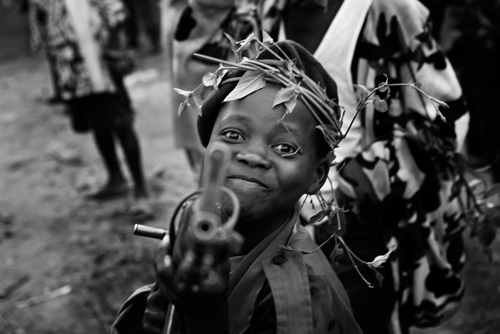 The exercise is to read an article published in Eight Magazine on the photojournalist Marcus Bleasdale [b. 1968]. Although not strictly instructed to do so I have made short notes on his views below. Originally a banker with a keen hobby of photography. Resigned from his post at being disillusioned on how banks ignored the human aspect of war over currency fluctuations. Two days later he was in Kosovo. Finance was an initial problem. Views that conflict and photojournalism do not go hand in hand quoting the work of Eugene Smith. References Joseph Conrad's book Heart of Darkness as inspiration in words of what the mind describes. Bleasdale's book One Hundred Years of Darkness follows in these footsteps through the Belgian Congo with each image taken referencing a part of the original novel. Took the work HRW and forced this onto audiences that were directly responsible for the conflict mining in the Congo, namely a Swiss Bank. Blames many organisations including the UN for failing the people of the Congo. This has lead to success in organisations no longer trading gold with Uganda as it was also coming from the Congo. This leads to less money being available to finance war in the Congo. Feels a strong responsibility to report the helplessness of Africa over war, famine, and disease. Has published just three books but a raft of awards from 2004 to 2015 for his work.